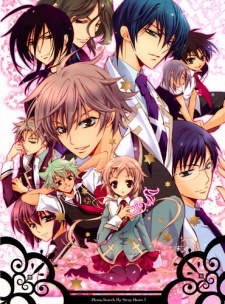 S.L.H is another manga by Shouto Aya, who is the author of Barajou no Kiss / Kiss of Rose Princess. Since S.L.H is older, let’s say it’s Barajou no Kiss the one who takes after S.L.H since the characters’ design and the story are remarkably similar in some way. It makes me think she got the idea of Barajou no Kiss while doing S.L.H. I must say Barajou no Kiss is way better. S.L.H is charming in someway, maybe because the art is pretty to look at, but I think the author didn’t convey the story that well.